Elephants; One of Sri Lanka’s key wildlife attraction, have been revered for centuries in Asia, playing an important role in the continent’s culture, religion and war. They are also play a critical role in maintaining the region’s forests. Asian elephants are the continent’s largest terrestrial mammals. They can reach 6.4m in length and 3m at the shoulder and weigh as much as 5 tones. There are three subspecies of Asian elephant – the Indian, Sumatran and Sri Lankan. The Indian has the widest range and accounts for the majority of the remaining elephants on the continent. The Sri Lankan is physically the largest of the subspecies, and also the darkest in color. The Sri Lankan elephant population is now largely restricted to the dry zone in the north, east and southeast of Sri Lanka. Elephants are present in Udawalawe National Park, Yala National Park, Lunugamvehera National Park, Wilpattu National Park and Minneriya National Park but also live outside protected areas. 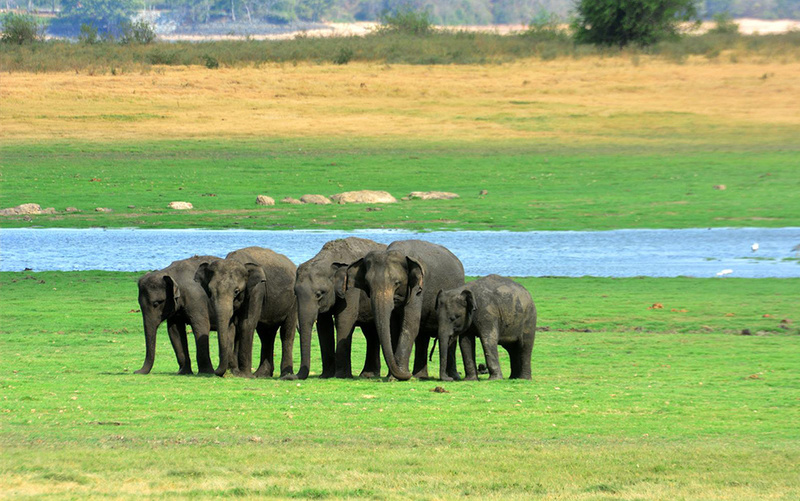 It is estimated that Sri Lanka has the highest density of elephants in Asia with Udawalawe Natioanl Park being renowned for guaranteed elephant sightings throughout the year. 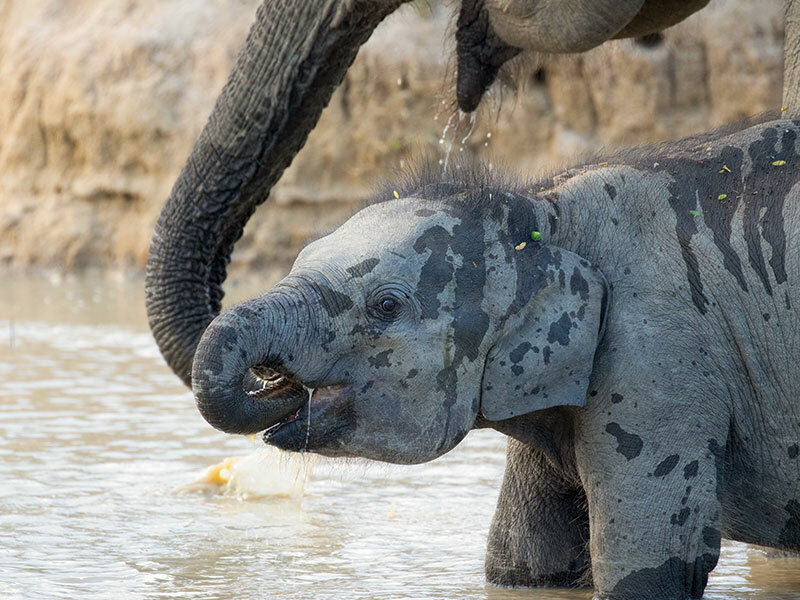 During the dry season, Minneriya National Park becomes the stage for one of the most spectacular wild life events in the world – The Minneriya Elephant Gathering, the largest gathering of elephants anywhere in Asia. Rated as no. 6 in the Lonely Planets’ guide to wildlife spectacles of the world, all you have to do is sit and watch as these huge animals drink, play and snack on the green, lush grass that has been exposed by the receding water of the Minneriya Tank. This little area, wild with life, is home for the dry season to over 300 elephants that have come from all over the North Central Province of Sri Lanka. This is not a migration, but an annual coming together of wild animals. Herds come from as far as Kantale to sip the sweet waters of the Minneriya tank. Elephants were a common element in Sinhalese heraldry for over two thousand years and remained so through British colonial rule. The coat of arms and the flag of Ceylon Government from 1875 to 1948 included an elephant and even today many institutions use the Sri Lankan elephant in their coat of arms and insignia. An important cultural symbiosis has continued to exist between the elephant and humans for over two thousand years – no religious procession was complete without its retinue of elephants, and many large Buddhist temples in Sri Lanka had their own elephants. Join us at Nature Odyssey to take a journey through the land of these giants, where we witness these majestic beings in their natural habitat. For more information on Elephant safari’s and tours hit the inquire now button.